The TP-103 series test points offers improvement in function, profile, and safety. 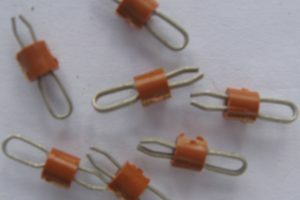 Formed from a phosphor bronze alloy, TP-103 test points fit in the same hole diameters formerly occupied by wrap posts. No re-design costs are involved in the application of the product series. 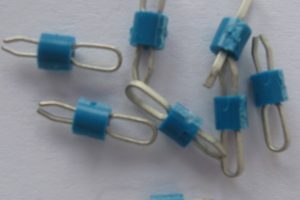 The TP-103-02-T offers a loop height of .200″ and provides sufficient profile for most conventional printed circuit board designs. The TP-103-03-T is an ultra low profile version compatible with the component height dimensions or surface mount devices. Contact Material: .017″ diameter Phosphor Bronze #510 Alloy. Mounting Holes: .040 diameter (minimum) plated through hole.